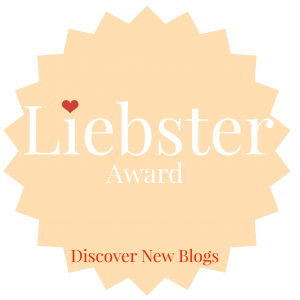 Last weekend I received comments from two new blogging friends who had nominated me for the Liebster Award. Tomorrow my blog will be two weeks old, and I have been spending so much time on it - my family has wondered where I've gone! Thank you so much to Susan at Susancoferfell.com and Tiffany at Stuck on a Cloud for passing this award on to me. I'm very honored. I was born in Berkeley, California, moved to North Carolina when I was 6, and now reside in Washington. So I'm a California southern pacific northwesterner. I hate fish even though I live in Seattle. This drives my husband crazy. I love rollercoasters. I wish I could ride them every day! I'm cold even when it's 90 degrees outside. I love M&M's. They are one of my favorite foods. Who needs expensive chocolate? I have the worst time syling my hair. Ponytails are a mess, and forget about a casual updo. Good thing there are no other girls in my house. I am very loyal and still have many friends from high school and college. Pink is my favorite color and I probably wear it too much for a woman in my 40's. I've been married to my high school sweetheart for almost 24 years. We've been dating since we were 15 - almost 32 years ago. Someday I would like to write a children's book. Maybe when my children move out I'll have time! We've been renting the same house on the Oregon Coast for our summer vacation for 17 years. It's our favorite vacation destination. What is your favorite passage in the Bible and why? Matthew 6:26-34. I am a worrier, so I try to remember this passage and not worry about tomorrow. Why do you blog? 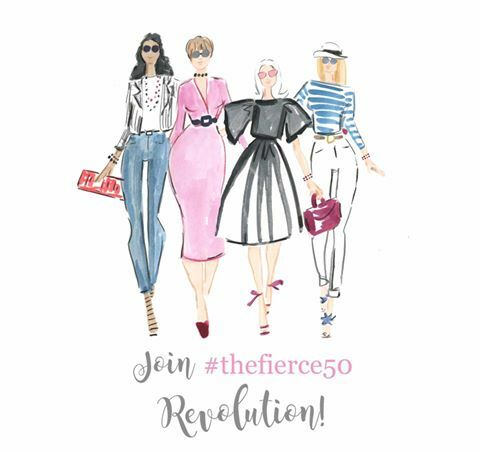 I have been wanting to start a blog for a long time! I love to write and needed a creative outlet. Now I just have to figure out what I'm doing. What is the most exciting thing you've ever done? I saw Ellen DeGeneres in a store in LA, and worked up the nerve to talk to her. She was so kind and spent 45 minutes with me! What is your most embarrassing moment? Every day when I go to Zumba class - I have no rhythm. When you were little, what did you want to be when you grew up? A figure skater. I took lessons, but the early mornings were too much for me. What is your favorite song and why? "After All" by Cher and Peter Cetera. It was the first dance song at our wedding. If you could eat at only one restaurant for the rest of your life, what would it be? Anyplace with Italian food. I love pasta and cheese. What are you most fearful of? Something bad happening to my children or husband. See "worrier" above. If you were given a million dollars, what would you do with it? Open a restaurant with my husband that catered to everyone. No prices on the menu - you pay what you can afford. If you could visit anywhere in the world, where would it be? I would love to go to Paris. When you pass on, what do you want people to remember you for? Being kind. What is your favorite movie/tvshow/band/book? Favorite movie is Serendipity with John Cusack. I love the tv show Nashville, but I'm 7 episodes behind! Favorite band is Pink - not really a band but I love her music. I love any books written by Elizabeth George. If you could choose a year to be born, what year and why? Sometime in the 50's. I think it would be really fun to be a teenager in the 60's. The thing that makes you happiest? Going on vacation with my family. The thing you wish other people would get about you? I'm way more sensitive than I let on, so I get my feelings hurt easily. Your idea of a perfect day? Being at the beach with a good book and a Diet Coke. East Coast or West Coast? That's a hard one, because I've lived on both coasts. But I'm a California girl at heart, so West Coast. The most valuable lesson you've learned in life? Do the best you can each day, and don't worry about being perfect. Over the past week, you made someone smile when you... took some cookies to my Grandma's retirement home. Who would you like to be stuck in an elevator with? John Cusack - see favorite movie above. What do you like to do in your free time? Scrapbook, read, play around with fashion. Who inspires you? My husband. He works so hard every day taking care of his family. What would you wish for if you had a magic lamp? Without further ado, here are my nominees. Susan at Of Every Moment, Amber at Amber in The Real, Shaunacey at Confessions of a Frumpy Mommy, Carrie at A Lovely Little Wardrobe, Patty at Hearts Homeward, Ginger at Beauty and The Travel Beat, and Jill at Doused In Pink. If you want to do this, I'm looking forward to reading your answers. 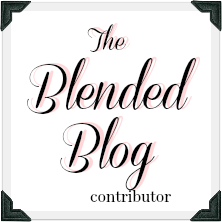 If you don't have time, no worries, but just know that I really enjoy your blogs! Thanks again to Susan and Tiffany for nominating me. Please go check out their blogs as well! I like to scrapbook and reading too! You are doing a great job with your blog!! Keep it up.. Your scripture choice is also my go-to! "Therefore do not worry about tomorrow, for tomorrow will worry about itself. Each day has enough trouble of its own." Zumba terrifies me! I thought since I was on the dance team in high school (20 years ago), that I'd still have some moves...nope. As my son would say "Epic Fail!" Great post!! No worries...it took me a week! Can't wait to read your answers.